Fees are already accounted for within the payments displayed and are also included within the total amount payable. Fees vary from finance provider to finance provider. 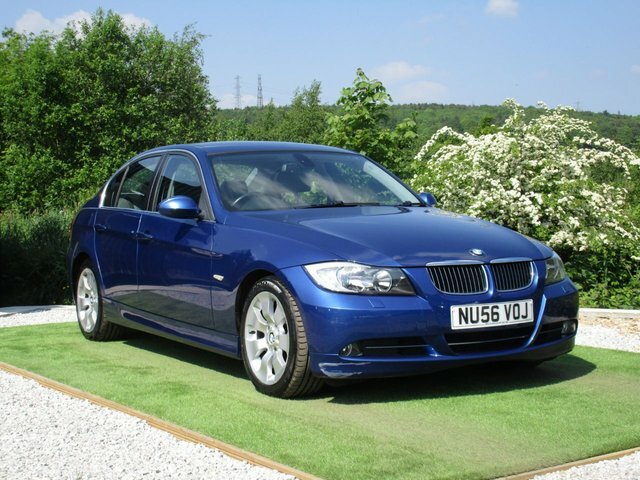 Bella Cars is the best place to start your search for a used BMW 3 Series in Huddersfield. This compact executive saloon is known for its stylish, sporty looks, spacious and well-equipped interior and impressive reliability. Capable of taking your driving experience to new heights, the 3 Series exceeds expectations at every turn. Take one of our used BMW 3 Series models for a test drive today. Simply contact a member of the Bella Cars team for more information. Trained technicians have rigorously inspected all of the used cars you'll find for sale on our forecourt, meaning our customers always get to enjoy complete peace of mind. Finance is available to UK residents aged 18 years or older, subject to status. Terms & Conditions apply. Indemnities may be required. Other finance offers may be available but cannot be used in conjunction with this offer. We work with a number of carefully selected credit providers who may be able to offer you finance for your purchase, commission may be received. We are only able to offer finance products from these providers. Postal Address: Bella Cars, Halifax Road, Birchencliffe, Huddersfield, West Yorkshire HD3 3BS. Find contact details here. Bella Cars is authorised and regulated by the Financial Conduct Authority, FRN: 649827. All finance is subject to status and income. Written Quotation on request. We act as a credit broker not a lender. We work with a number of carefully selected credit providers who may be able to offer you finance for your purchase. We are only able to offer finance products from these providers.